The Jeep is one of the most iconic car brands in history. Famed for it's use in WWII as a workhorse of the US Army it inspired Land Rover to do something similar in UK. The brand retains it's rugged hard working image in the Renogade, Cherokee and Wrangler. 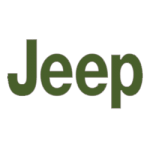 At Little Green Car we've got some great Jeep lease offers. Check out our Jeep lease deals below.